The first meeting was in White Center, and now the second big meeting about the in-the-works safety project for SW Roxbury is happening on the West Seattle side of the ... Read more.. Need help affording home repairs? This might be for you: Habitat for Humanity Seattle-King County is providing home repairs to a limited number of White Center residents through its White Center ... Read more.. This Wednesday is the third and final signup session this season for Southwest Little League: Steve Cox Memorial Park on Wednesday, February 26th, from 5 pm to 7 pm. From ... Read more..
Two weeks from tomorrow - the afternoon of Sunday, March 9th - the 34th (Legislative) District Democrats' caucuses will happen at the Evergreen campus in White Center. Here's the official ... Read more..
(7:07 am screengrab of City Light map showing where the outage is affecting homes/businesses) Seattle City Light has more than 7,000 homes/businesses out of power this morning, mostly to the east ... Read more..
We got a few questions about a sizable King County Sheriff's Office presence around 2nd/108th this morning, and checked with KCSO spokesperson Sgt. Cindi West. She says it was related ... Read more.. The Olson/1st Ave. hill to/from Highway 509 at the east end of SW Roxbury is open again after an hour-plus shutdown following a one-car crash. 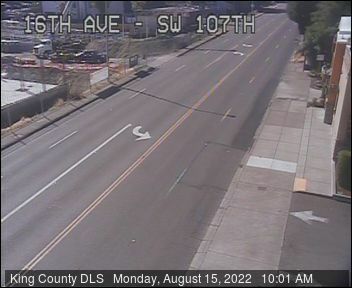 (First two photos courtesy Jason) According to ... Read more..
A project to make SW Roxbury safer is finally becoming reality, after White Center and West Seattle community leaders, including the North Highline Unincorporated Area Council and (just over the ... Read more.. In case you couldn't make it, we recorded video of the North Highline Unincorporated Area Council meeting last Thursday. Here's what you'll see: *Discussion of litter problems by Marcia Wollam and ... Read more.. Following up on our report last week - the Seattle City Council approved the resolution a committee had OK'd last week, seeking to annex two unincorporated areas in South Park, ... Read more..
1:05 PM: Just added the top photo (that's Councilmember Larry Phillips at left), courtesy of the KCE staff - and here's the full-speech text. ORIGINAL REPORT, 11:34 AM: Here's the State ... Read more.. Snow's over - except for possibly a flurry - and the meltdown's on. Thanks to those who sent photos; we'll be adding a few more. Also, we discovered King County ... Read more..
White Center Weather Watch: Saturday night snow! Saturday, February 8th, 2014 Posted in Weather, White Center news | Comments Off on White Center Weather Watch: Saturday night snow! (Live traffic cam from 16th/107th) 7:32 PM: It's been an hour and a half now since snow moved into the south end of the metro area - and there's no sign ... Read more..
Just announced by King County Executive Dow Constantine's office: For the first time ever, a King County Executive will deliver the State of the County address in one of the county's ... Read more..
12:33 PM: Thanks to another tipster who called to report a sighting of fire and aid units. Driving around, we have found them on 20th SW, north of SW 102nd. ... Read more..
10:21 AM: Thanks to Amanda (who also shared the photo) and Nancy for the tip - North Highline fire units are in the 10000 block of 14th SW (map) at ... Read more..
That's the video of today's Seattle City Council Education and Governance Committee meeting. The annexation discussion didn't come up until roughly the last half-hour, and there were some interesting revelations. ... Read more.. This Thursday, it's time for the North Highline Unincorporated Area Council's next meeting. President Barbara Dobkin shares the preview: North Highline Unincorporated Area Council Meeting When: 7 pm Thursday, February 6 ... Read more..
(Photos by WCN's Patrick Sand) 9:04 AM: We're on our way to check out a fire response at the Windemere Estates apartment building on 16th SW just south of SW 107th. ... Read more..